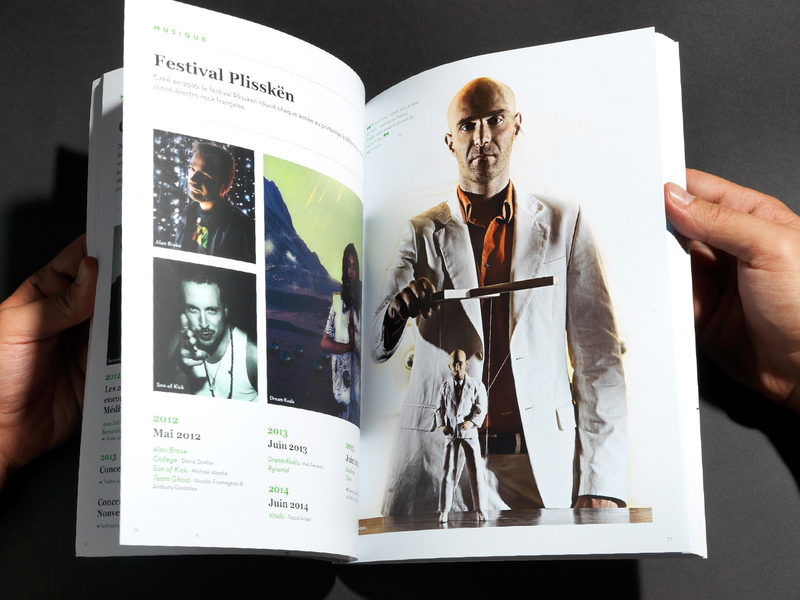 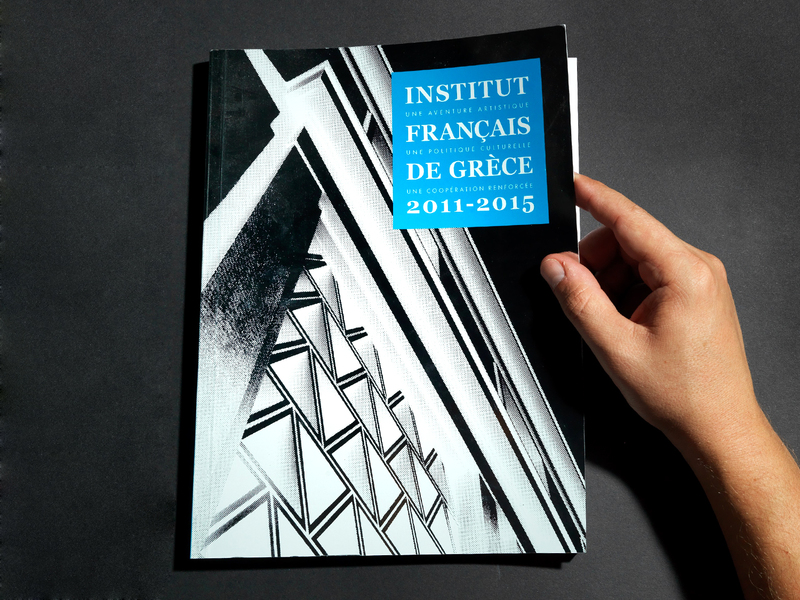 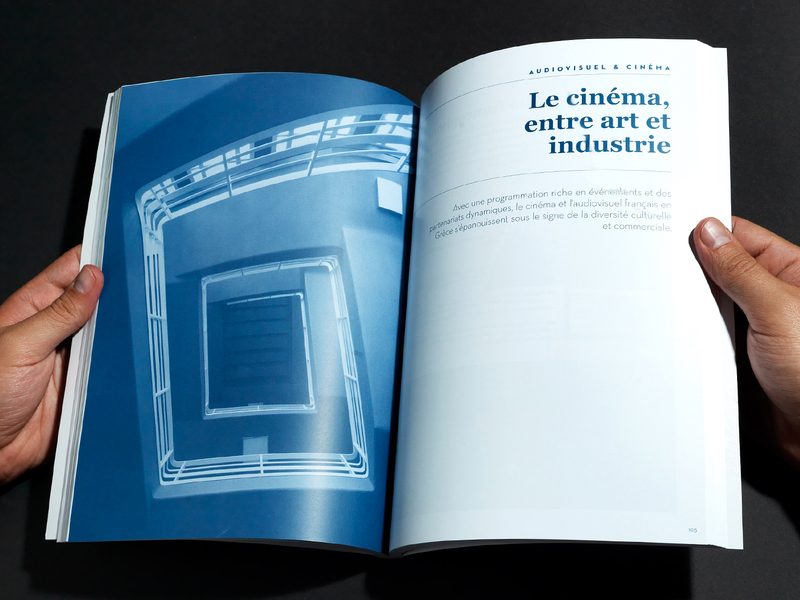 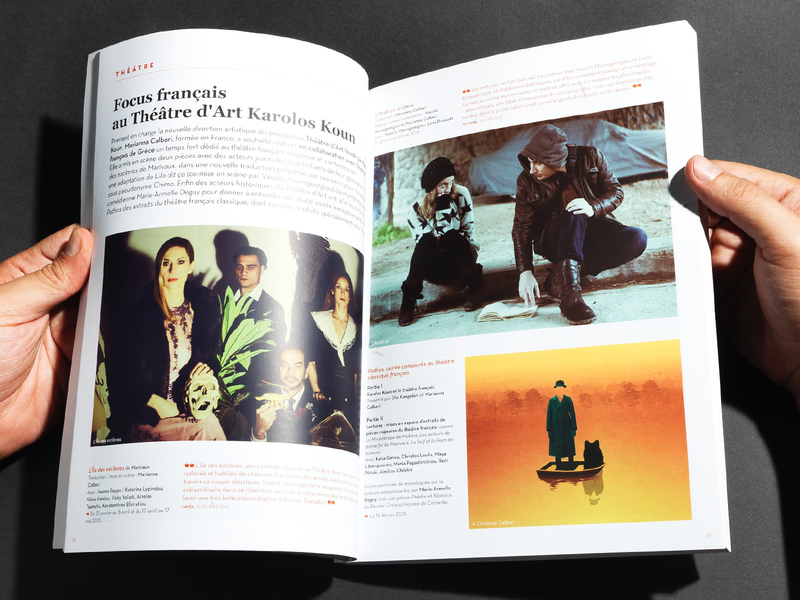 Editorial design for a retrospective publication presenting all cultural activities that took place at the Institut Français de Grèce between 2011-2015. 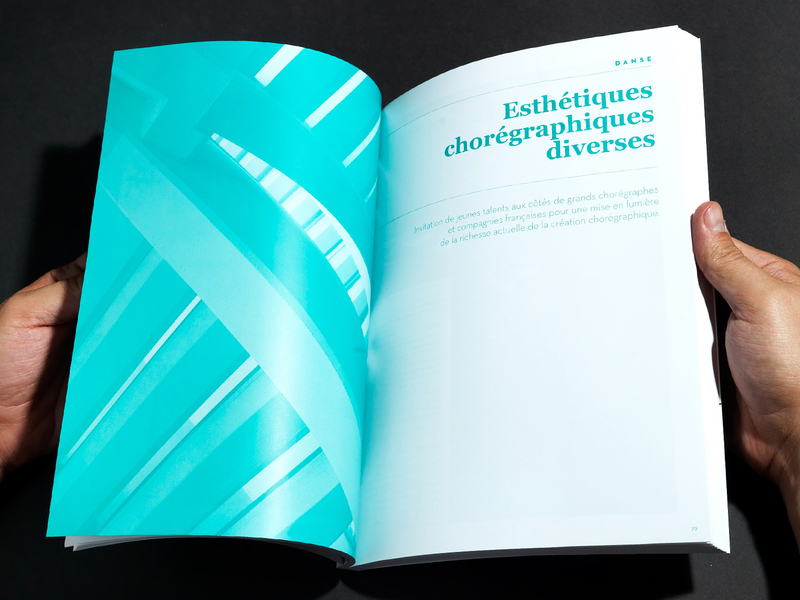 The creative concept was to highlight the Institut Français building using photos of architectural details (like patterns, staircases etc). 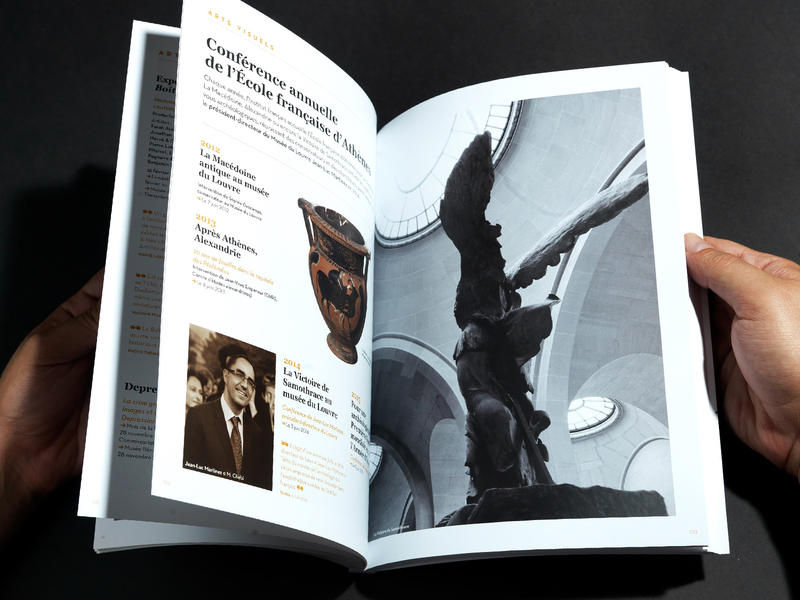 These images were then used on monochrome pages to separate the book’s thematic chapters. 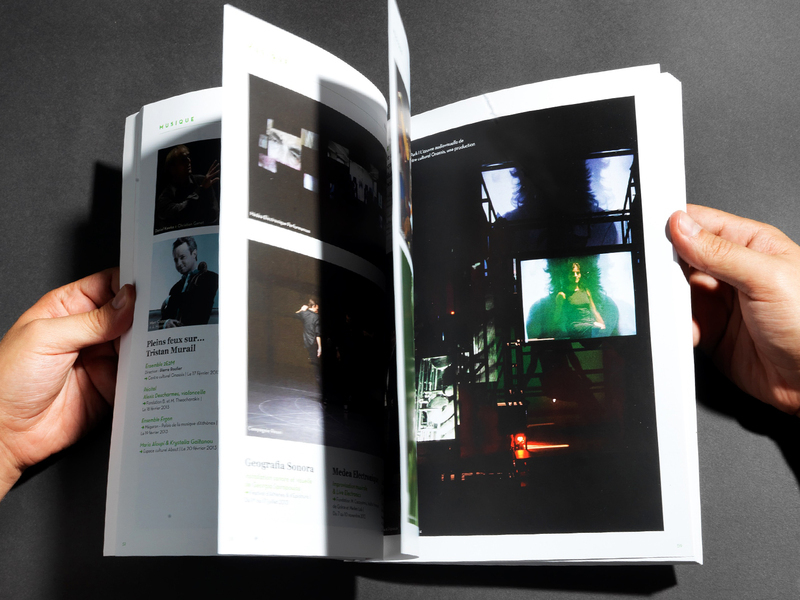 The cover was also a monochrome photo, silk-printed on mirror paper.